A very manageable quick in quick out project, the Apartments are configured by 1 x one bedroom, 30 x two bedroom & 14 x three bedroom units inclusive of 63 basement car parks, bicycle racks, 2 passenger lifts, sky deck with entertainment facilities and landscaped grounds, gymnasium & games room. With a land area of 1,182m2 this development site has an unbeatable location right next to the Southport CBD. It is situated on a corner block with two street frontages, Nerang St & Queen St.
-	Walking distance to Southport CBD. -	Opposite the $800million "Queen Street Village" master planned village. all the way to Surfers paradise and Broadbeach. 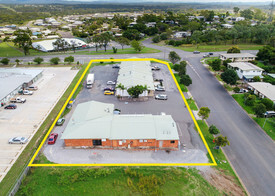 -	2min walk to Southport Medical Precinct Bus Station - 190m. -	2min walk to St Hilda's School - 200m. -	3min walk to Southport Private Hospital - 200m. -	4min walk to Nerang Street Light Rail Station - 300m. Restaurants, a multitude of specialty stores etc. - 1.3km. -	4min drive to Broadwater Parklands - 1.4km. -	4min drive to The Southport School - 1.5km. -	5min walk to Primary Medical and Dental Centre Southport - 500m. -	5min walk to Southport State School - 500m. -	5min drive to TAFE Queensland, Gold Coast Region - 1.6km. -	5min drive to Southport State High School - 1.9km. -	5min drive to Keebra Park State High School - 2.5km. -	9min drive to Surfers Paradise - 4.5km. -	12min walk to Chinatown Gold Coast - 950m. -	12min walk to Southport Train Station - 950m.